Help your young reader build communication skills and self-confidence by reading with adoptable pets or listening to a story. This fun, family-friendly activity features a new book every week and a craft for little ones to enjoy! All programming is subject to change. Check-in at the Reception Desk when visiting for daily schedule. Registration required. There is a $3 charge plus 95 cent processing fee, per child, to attend. 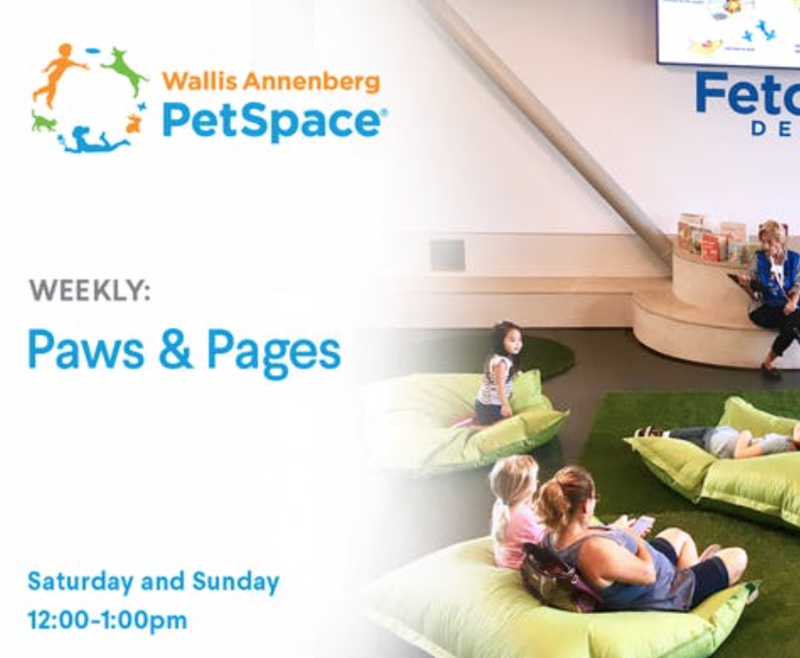 By registering for this event, you agree to receive email updates from Annenberg PetSpace.